Who do you think would reach the top of Stage Four first? We’re into the final round of the American Ninja Warrior speed bracket! Only two Ninjas are left from the 16 that we started with. Since we’re nearing the end, let’s go back to the beginning and refresh our memories on how we got here. There seemed to be a bit of confusion when we shared the link to the poll on Instagram yesterday. Next, the original 16 Ninjas were included based on their performances during Stage Two of season 10. This was simply because we HAD to put some kind of parameters around qualifications to get to 16 names. Kind of like in any other sport, the championships are around who did the best THAT season. Of course we are very well aware that there are dozens and dozens more incredible Ninjas that could have been included. But they didn’t make it Stage Two in season 10. As we pointed out in the original post, we do not have timing information for all the runs for Stage Two, so Daniel Gil and Austin Gray were included as “wildcards” even though they didn’t make it to Wingnut Alley. Whew, okay. 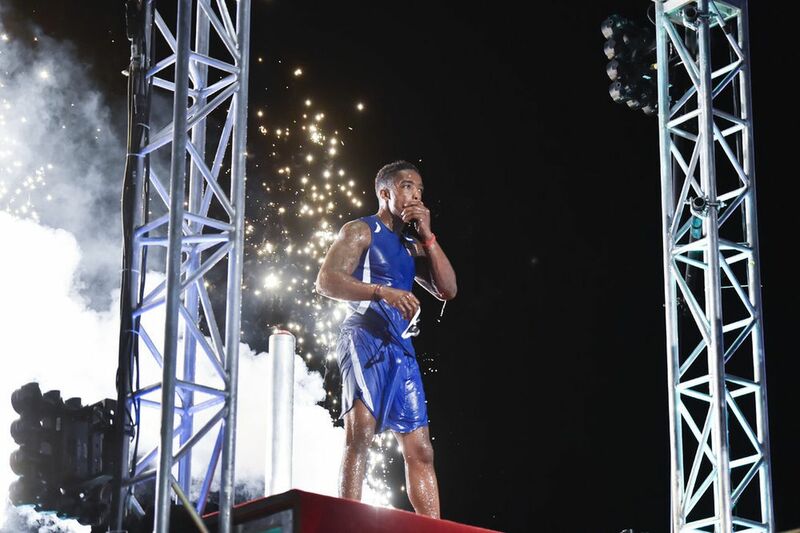 With all that said, welcome to the final round of the American Ninja Warrior speed bracket! The last two Ninjas standing are Najee Richardson and Josh Levin. This is an interesting match up. Najee is a former gymnast who’s known for his massive lachés. He made it to Stage Three in season nine. In season 10, he was within feet of the Stage Two buzzer when he timed out while trying to complete the Water Walls. In his four seasons on the show, he’s only failed to make the National Finals once. In season 10, he was also one of only a handful of competitors to beat the Mega Wall and earn $10k. Josh Levin started his Ninja career strong and hasn’t let up since. During his season eight debut, he was the only finisher of the LA City Finals course. In seasons eight, nine, and ten, Josh made it to the National Finals and to Stage Two. He hasn’t faced Stage Three during the regular season, but we did see him hit the buzzer on Stage Three in USA vs The World. He’s an accomplished professional rock climber with a focus on speed climbing. We have to say these are two well-deserving Ninjas to be considered for the final round! We’ve used Stages One, Two, and Three as the basis for voting up to this point. So it’s time for the famous rope climb of Stage Four. Who do you think would have a faster time on the final rope climb of Stage Four? We’ll leave voting open for a couple of days and reveal the winner on Monday!